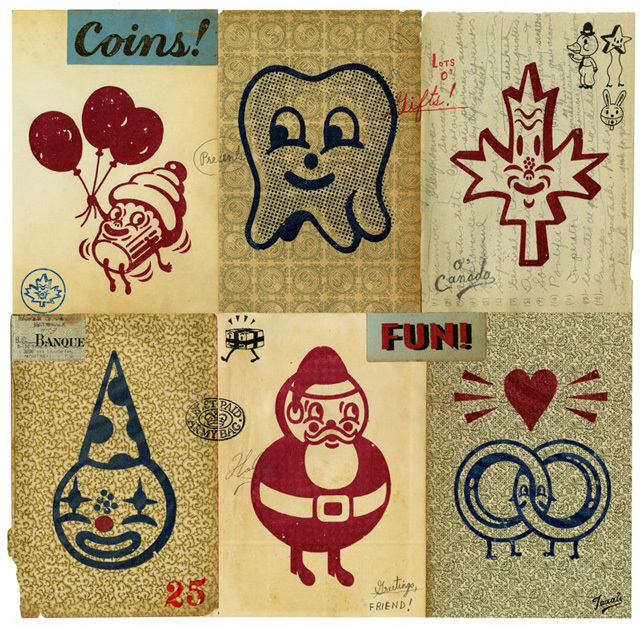 In 2011, artists Gary Taxali was approached to create the artwork for six celebration-themed coins for The Royal Canadian Mint. 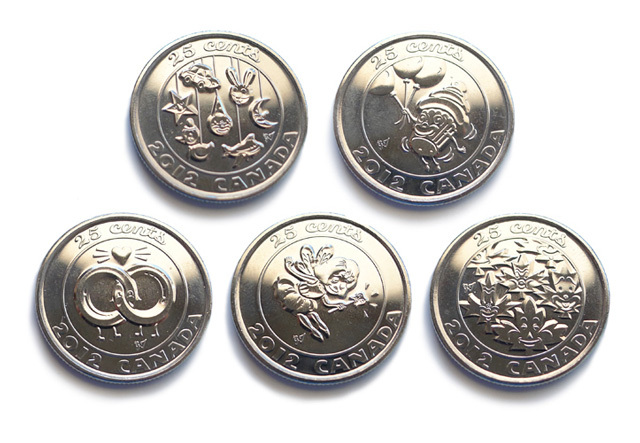 The 25 cent coins that he designed have now been minted and five of them are now available to purchase at The Royal Canadian Mint’s website. Gary has detailed the entire story and included images of the coin’s art on his blog. A limited-edition print that celebrates the artwork of the coins is also available. I was given the themes of “Wedding”, “New Baby”, “Tooth Fairy”, “Birthday”, “O’ Canada” and “Holiday”. I jumped in head first and started sketching. Dave told me that I had to consider the “engraving” and so creating designs that would translate graphically to that process was important.